We save a large amount of seed from our garden each year. Check out my post here on saving seeds. There are seeds from the staple plants we grow year after year like chives, cilantro, dill, peas, onions, and sunflowers to name a few. Then there are seeds from select varieties of staple garden plants we save as well usually from tomatoes, cucumbers and peppers. How I save seeds will be the topic of another post in the near future. I have often collected the seeds in paper bags and then for lack of thought just stored the seed in the paper bags until needed next year. And it works great year after year. But sometimes I would like to share my seeds with neighbors. And other times I wish to be one of those creative women who have a beautiful and delicate solution to everything. Ok so that last one isn't going to happen in this lifetime but sometimes it is fun to pretend. From time to time over the years I have made seed packages or seed envelops in anticipation of the annual seed gathering. 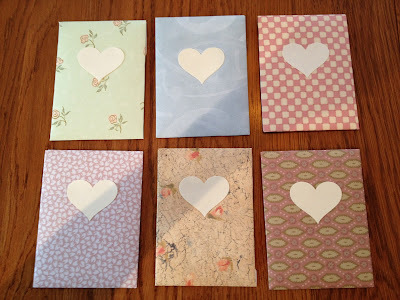 While any paper envelop will work, when I make my own I can choose the paper for the packages which is half the fun. Paper of your choice. I used scrap book paper. Print out the template from the above link. I printed out two sizes. 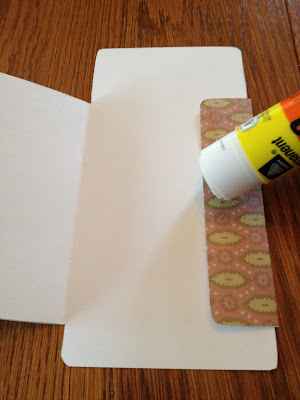 If you want you can print the template directly onto the BACK of your scrap book paper. I was using 12"x12" pages which don't fit into the printer. The larger template I printed on regular white paper. The smaller template is printed on card stock. I glued the larger template to the back of a cereal box then cut out both templates. Next choose your paper. I found in my scrapbook paper a number of prints I am unlikely to use in a scrapbook project (I think we all have that collection). 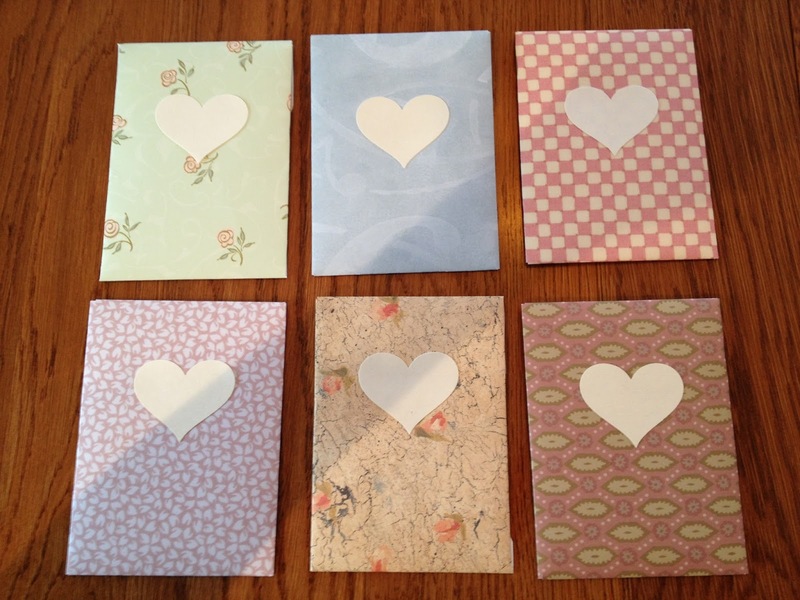 But these prints I thought would make adorable envelops. 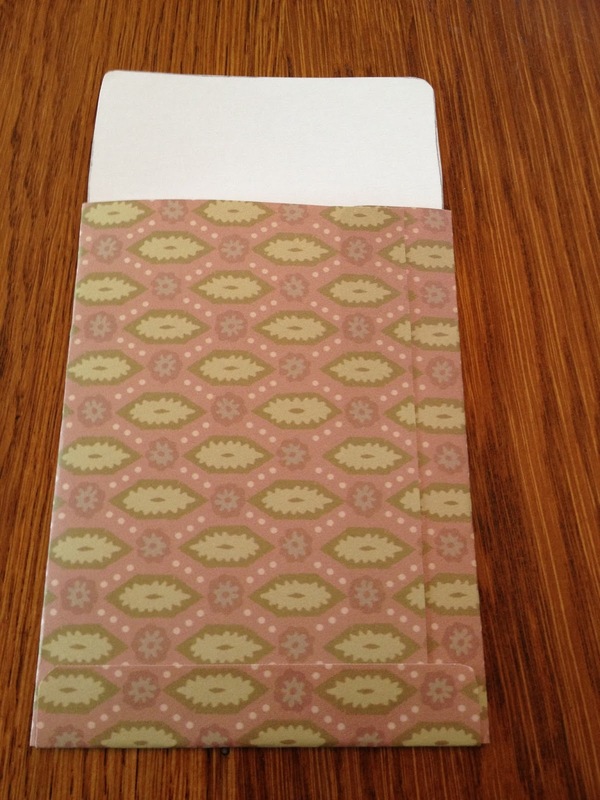 Card stock is too thick for this project since you will be making several folds. Smaller prints also work better since the envelops are small. Trace the template shapes to the BACK of the paper. With the 12"x12" paper I found I could get one large envelop and two smaller envelops per sheet. The link above is only one size. I resized it in my printer settings to get the smaller size. Then cut out the shapes. Next fold and glue the envelop. As shown below. Don't glue the top flap or you won't be able to get the seeds inside. You can glue the top flap shut after the envelop is filled. Here are my seed packages. But for them to be effective they are going to need labels. For my own purposes I will just write on the envelop what is inside. But for a more finished look you may want to add a proper label to the front. I like the hearts which I made with a punch. A more traditional approach would be a stylized rectangle (and if I was one of those fabulously crafty women I would have cut some of those out too). For gifts of seeds, you will also want to put a label on the back with all the information needed to successfully grow the seeds. I recommend printing this information out and gluing it to the back in the proper size. I love these! They would be great with a trowel and some garden gloves in a large pot nested in another as a pretty gift! Or, they could be sent in the mail! Thanks for the idea! I use glassine envelopes for seeds I save but yours are colourful and much larger. Thanks for sharing the template and detailed instructions. These are perfect! This was our third year planting seeds we've saved from the season before, but I have not set up a system to store and record what we have and what we are using. Your little envelopes will be perfect for storing and gift-giving. I'll be using this template for sure. Thank you! 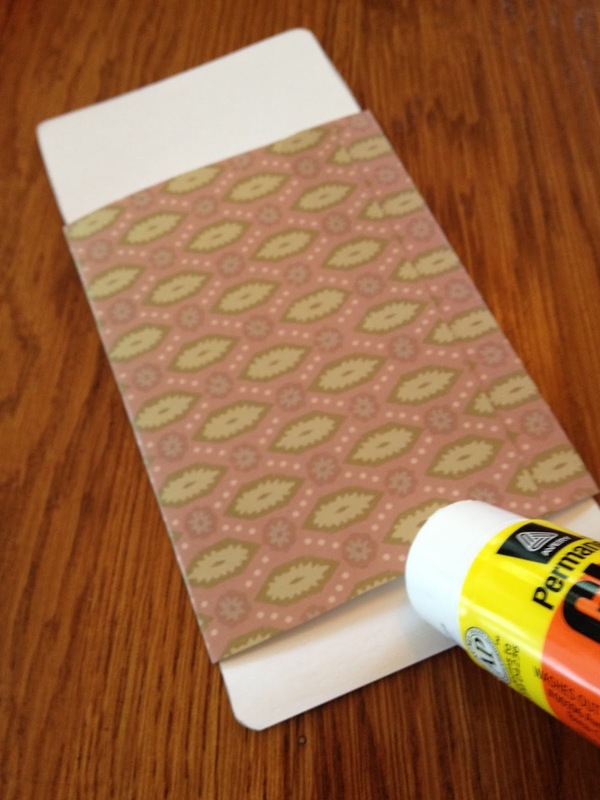 What a great use for leftover scrapbook paper! This is sooo wonderful!! A beautiful way to save seeds! Saw you at Treasure Hunt Thursday. Hope you come by for a visit! These are super cute! Pinning this! Lovely touch to add to your seed collection. I'm sure you'll get to enjoy it again next year when it's planting time. Adorable! What a great project for a rainy day. This is a type of printable I have not seen before. People on Hometalk would love this! They are really cute and very useable! Thank you for linking this post on The Blog Strut last week! I hope you will stop by this week starting Thursday and post something (new or not so new)! Thanks for stopping by Natasha and the Pin!